Pallet Racking. NYC & NJ Largest Stocking Distributor. Tear Drop and Keystone style Pallet Racking in stock. Daily deliveries in New Jersey, NYC, Brooklyn, Queens, Staten Island and the Bronx. Complimentary Layouts, Quick delivery, Lowest overall cost, Professional Installations. Call now, when your working we’re working P(917) 701-5795. 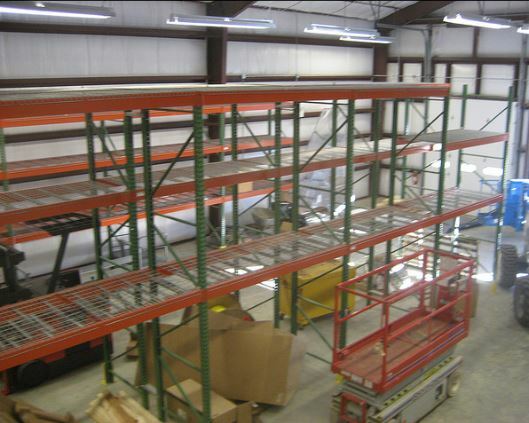 Now you can buy new rack and shelving for the same cost as used. Your insurer prefers new over used. LockersUSA stocks Tear drop and keystone type pallet rack in all weight capacities. LockersUSA can ship your rack or shelving within 48 hours. P(917) 701-5795. Our installations team provides complimentary on site layouts, professional installations and lifetime warranties not only on our rack and shelving but our installations too!. Save money if your hand loading your inventory ask for Bulk Rack. 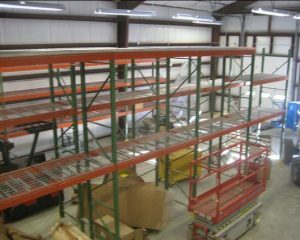 Bulk Rack (shown below) is less than half the cost of pallet rack and holds up to 4500lbs per level. 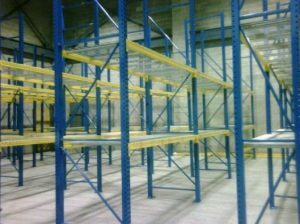 Pallet Rack Jersey City, Pallet Rack NJ, Pallet Rack NYC, Pallet Rack Long island City, Pallet Rack Newark, Pallet Rack Elizabeth. Pallet Rack Brooklyn, Pallet Racking Brooklyn, Pallet Rack Brooklyn NY, Teardrop pallet rack Brooklyn, Keystone pallet rack Brooklyn, used pallet rack Brooklyn, Metal Shelving Brooklyn, Steel Shelving Brooklyn.